Comedians are gathering in Iqaluit this weekend in the name of suicide prevention. Mary-Lee Sandy-Aliyak is one of those comedians. 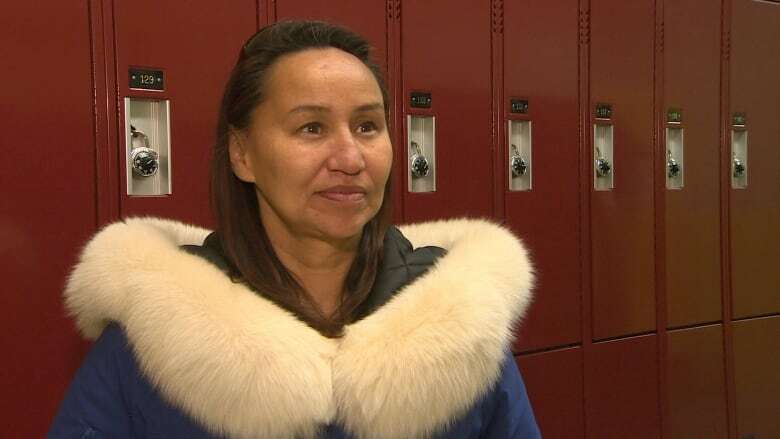 It's a cause that hits the Iqaluit resident close to home. Sandy-Aliyak believes laughter isn't just fun, it's therapeutic. "Making fun of yourself, your kind, your community, your territory, your leaders ... that helps you strengthen yourself," she said. That's why she's performing at the inaugural Arctic Comedy Festival, which is raising money for the Nunavut Kamatsiaqtut Help Line, a suicide support phone line. 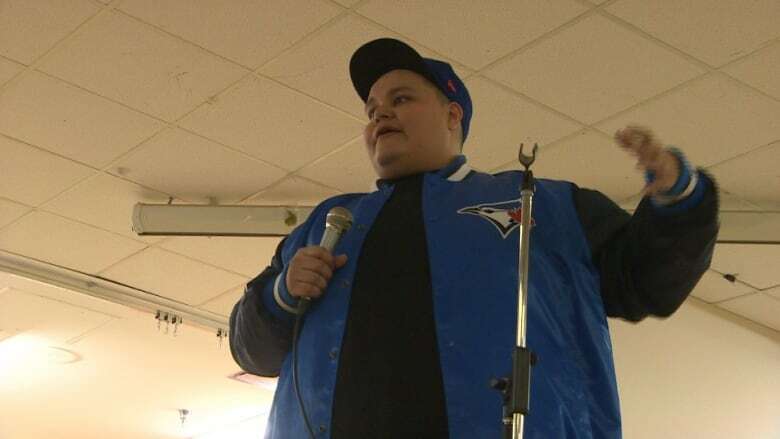 The festival has brought together more than 20 comedians to the Nunavut capital. Paul Rabliauskas is a First Nations comedian from Winnipeg, who grew up in a remote Manitoba community. He said it's fun to get on stage and tell jokes, but the real treat is talking to young comedians and giving them advice. "They're really funny too," he said. "That helps in comedy — being funny — and everyone I've met, not even the comedians, just the local people hanging out yesterday, they're funnier than we are, they really are." Rabliauskas said he feels really lucky to be in Iqaluit for the first year of the festival, because he thinks it's going to really take off in a few years. Nunavut has the highest rate of suicide in the country, but of the more than 20 comedians from around the country who are participating in the festival, all of them have stories of struggling with mental health. Mary Walsh is a renowned Canadian comedian who's been part of This Hour Has 22 Minutes for years. She said she's a recovering alcoholic. "We are afraid of people with mental health [challenges]," she said. "Little by little by little, we're trying to change that." Talking about mental health is a good way to alleviate the fear of it, said Walsh, who added that having a suicide hotline is vital. Without resources like this in place, she worries about telling people to speak up about their mental health, because so often, help is not available. This is Walsh's second visit to Iqaluit. She feels a pull to the territory because it's where her son is from, she said. Jesse Cox, her adopted son, is from Gjoa Haven. He accompanied Walsh on her first visit to the city. "There's a young woman who was one of the comedians last year and she said: 'Mary Walsh's son Jesse Cox is here, and I want to welcome him to his land,'" said Walsh. "I was so touched by that." The Arctic Comedy Festival runs from Oct. 11-13.